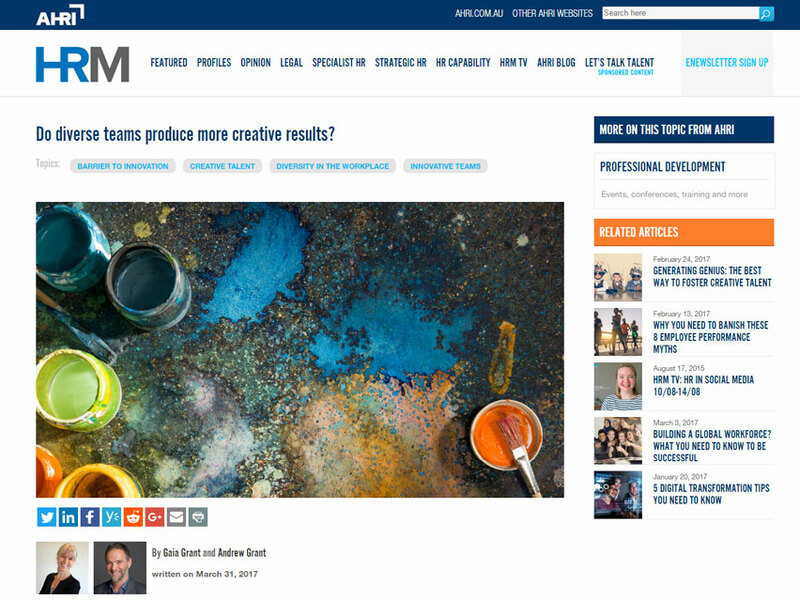 Do diverse teams produce more creative results? What difference can diversity make for innovation? In this article we explore why diversity is critically important, and how diverse teams are able to move beyond mediocre ideas to great ideas. It has long been recognised that diversity is important for innovation – and there is now more evidence than ever to support the case for diverse teams. The reality is that teams of like-minded people often come up with average results. 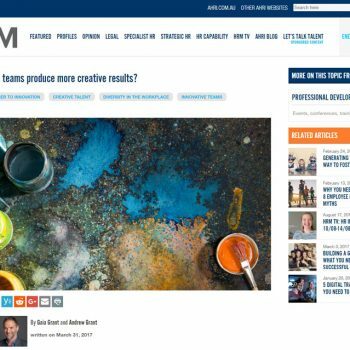 Diverse teams, on the other hand, have been found to inspire original ideas and enable more market opportunities. So why are many organisations guilty of avoiding diversity, or not giving it the attention it deserves? And how can teams move to enable these diverse perspectives? Most people prefer to be around others who are similar to them – and leaders will often select teams that are similar to themselves. Yet like-mindedness often leads to average results when it comes to innovation. Although social networks sometimes do foster creativity, they can often also stifle it. While teams of like-minded people from similar backgrounds solve problems faster, the solutions they come up with are often lacklustre compared with those of diverse teams. And that’s the problem. While there’s typically a great deal of back slapping and agreeable reinforcement in uniform teams, this limits the potential for the challenges required to push beyond standard ways of thinking. Similarly, a team of ‘yes-men’ is not going to point out if the ship is heading straight for an iceberg if the leader doesn’t want to see it. Diverse groups have been found to be the most creative of all types of collaborative groups. In simple murder mystery problem-solving tasks, groups with greater ethnic diversity share information more openly and solve problems more effectively. Ethnically diverse juries have also been found to exchange a wider range of information about a case than homogeneous groups. Employees from organisations that focus on both inherent diversity (such as gender or ethnicity) and acquired diversity (such as working in another culture or working with different gender groups) report that their company is 70 per cent more likely to have captured a new market. Other research finds that diversity – and in particular cultural diversity – has been closely linked with better economic performance through innovation. Innovation-focused banks have, for example, been found to perform better financially where there is greater ethnic diversity. However, as group diversity can also lead to higher levels of perceived conflict and a lack of trust, it is important to know how to best enable their potential. There is a clear need for coordinated management in order for the fresh ideas to thrive. So how can you maximise the potential of diverse teams?